A research paper discussing the importance of the brain. The brain is our key to life. It allows us to be the people who we are. It defines us, and it lets us live in happiness. Without a brain, the body also wouldn’t function. The brain is one of the most important organs in the body, because it controls our memory, senses, and movement. The brain allows us to think, move, feel emotions, and it even controls breathing and heartbeat. Without it, we would be lost. The brain controls and interprets everything that we sense, including what we hear, see, smell, and feel. The thalamus, primary somatosensory cortex, and the supramarginal cortex are all parts of the brain that play an important role in collecting and interpreting messages about what is going on around us. Hearing allows us to communicate and it even plays a special part in balance. The superior marginal cortex, primary cortex, and the uncus all allow us to understand what we are hearing. Air pressure waves are funneled by the outer ear and travel through the ear canal. The waves hit the eardrum, causing the eardrum to vibrate. These vibrations move along the hammer, anvil, and stirrup, the three smallest bones in the body. The stirrup butts against the cochlea, which causes the hairs in the liquid-filled cochlea to vibrate. The vibrations are turned into signals and pass along the cochlear nerve, which becomes the auditory nerve, and then are sent to the brain’s auditory cortex. Here the nerve impulses are interpreted and we hear. Sight is another important sense that our brain uses to understand our surroundings. The thalamus and the visual cortex are both parts of the brain that deal with sight. By combining views from both the right eye and the left eye and comparing them, the brain can judge depth. The retinal cells in our eyes convert light energy to nerve signal energy. The axons in the optic nerve carry the nerve impulses to the brain. At the optic chiasma, each optic nerve crosses over to the other side of the brain. The thalamus relays the visual signals and other sensory inputs to the visual cortex. The visual cortex then analyzes the nerve signals for visual information. Smelling is another sense that allows us to enjoy the world around us. The olfactory cortex and the uncus are parts of the brain that allow us to tell what we smell. Molecules enter the nose through each nostril. Then the olfactory epithelium fires off nerve impulses. These nerve impulses are taken to the olfactory tract, which sends them to the brain. The olfactory cortex analyzes the smell information and makes you aware of what you smell. Touch is a very important and complex sense. The somatosensory cortex is the part of the brain that processes what you feel. The surface of the somatosensory cortex has been mapped to skin areas. The order of these reflects body parts from head to toe. For example, if sensory nerves felt something on the middle of the body, it would be sensed by the middle of the somatosensory cortex. A stimulus is something that makes a nerve cell fire off a message in response. There are many different kinds of stimuli, including touch, sound, light, taste, temperature, and smell. Nerve cells that respond to stimuli are called sensory neurons. The body has many sensory neurons. A single touch can make thousands of sensory neurons respond. The brain holds our memory. Our memory allows us to remember important things, such as phone numbers and where we live. To prevent the brain from being overwhelmed by data, only one percent of what we experience actually reaches our long-term memory (memories we remember). The average memory holds five words, six separate letters, or seven single numbers. Memory training, such as reordering to assign a meaning, can usually double the amount the average memory holds. There are two kinds of memory, long-term memory and short-term memory. Long-term memories are memories that we remember for a long time. Short-term memories are memories that we remember for a short amount of time. Long term-memory has three basic forms, procedural memory, semantic memory, and episodic memory. Procedural memory involves skills learned through practice. Semantic memory deals with words, language, facts, and their meanings. Episodic memory records specific events and experiences. Short-term memory is also known as “working memory.” “Working memory” is the short-term remembering of something, such as the position of the doors in a room, just long enough to be useful, before rapidly fading away. Most short-term memories are lost, but more “significant” ones are sent to the hippocampus, where they are stored and become long-term memories. Implicit memory is another type of memory. It affects us without our awareness, for example being more likely to believe something is true if we have heard it before. All the senses from an experience are pulled together to recall the whole experience. Sensory memory retains memories from sights, sounds, smells, tastes, and sensations for a few seconds. Sensory memory also makes a person aware of their surroundings. During sleep, the brain is very active. With no distractions from conscious thoughts, the memory circuits sift through recent events, move some to long-term storage, and consolidate memories as we sleep. The more vivid something is, the more likely we are to remember it – this is called the vividness hereustic. Events that include strong emotional components, such as the first day of school, persist and stay “real.” “Covert” memories trigger emotions, which can affect our behavior without us even knowing. Our brain reconstructs memories from bits it stores in different places, which means our memories are actually reconstructed and aren’t fully correct. The brain allows us to move without even consciously thinking about it. We don’t have to think about what part of our body we want to move. We just do it. The motor cortex, cerebellum, pyramid, thalamus, and premotor cortex all allow us to move. The motor cortex initiates the process of conscious or voluntary movement. Different parts of the motor cortex deal with instruction to certain parts of the body. Parts of the body that need intricate muscle control (lips, fingers, etc.) cover a larger part of the motor cortex than parts of the body that need less refined control. The cerebellum constantly receives messages about the body’s actions and positions and then sends back commands to the muscles, adjusting the way the body moves. The cerebellum or “little brain” plays an important role in movement. The pyramid contains motor nerve fibers that run from the cortex of the brain to the spinal cord. The thalamus processes and relays motor information to other parts of the brain. The premotor cortex coordinates complex movements, such as driving and typing on a keyboard. There are two kinds of actions, involuntary actions and voluntary actions. Involuntary actions or reflexes are actions that are not consciously made. These are usually made when the brain feels that the body is in danger. A voluntary action is one we plan with awareness and carry out with purpose. The visual and auditory cortexes relay sensory information to the dorsolateral frontal cortex and the putamen feeds its memories and preparations for movement patterns to the posterior parietal cortex. The dorsolateral frontal cortex and posterior parietal cortex signal the thalamus to make “action plans” with the motor cortex. Then the motor cortex gives the order. The cerebellum fills in details of muscle coordination and relays back to the motor cortex, for output to the muscles. Next, motor neurons transmit the nerve impulses to muscle fibers that instruct the muscles to contract. In many ways, the brain is our life, our heart, and our mind. It makes us who we are. It defines us. The brain is one of the most important organs in the body, because it controls our memory, senses, and movement. If the body didn’t have a brain, we wouldn’t be living. The brain is what allows us to live in a world of feelings, friends, and memories. 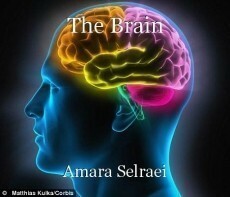 © Copyright 2019 Amara Selraei. All rights reserved. This is as good of a write up about the brain if I've ever seen one. Could very easily get a good grade on it, if it was for a type of school project. The brain is the most fascinating organ, ever, something that I don't know if we will ever understand fully. The inner workings and the mysteries of our brains is probably why I'm so drawn in by psychology, to learn more about the brain and how we think, act and feel. Its just, addicting almost to see just how amazing our brain is. Amazing write up, I thoroughly enjoyed it! Thank you so very very much for your wonderful review of my work! It really means a lot to me to know that I am not the only one who is fascinated by the brain and its mechanisms. And thank you also for your kind remarks on my writing, as you have inspired me to write more articles about the brain. A lot of information in this essay, and you've managed to make it quite easily understood too which is quite an achievement. Well done with this! Inside Out, and Back Again.